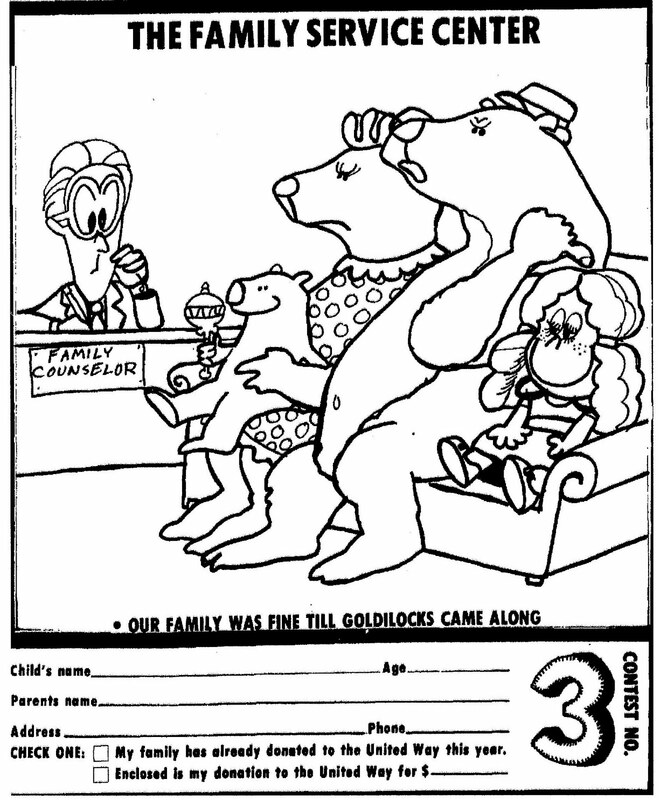 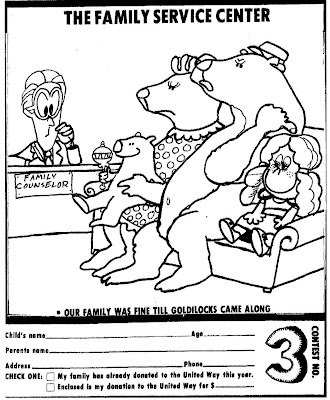 A United Way coloring contest from September 25, 1977. 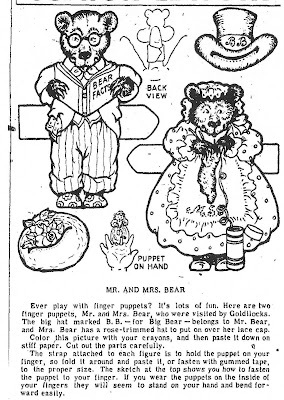 Mr. and Mrs. Bear finger-puppets from May 29, 1956. 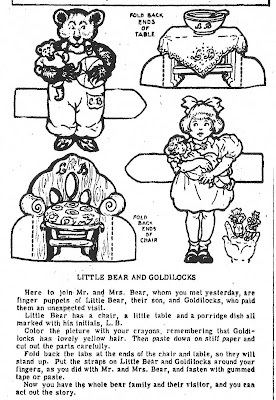 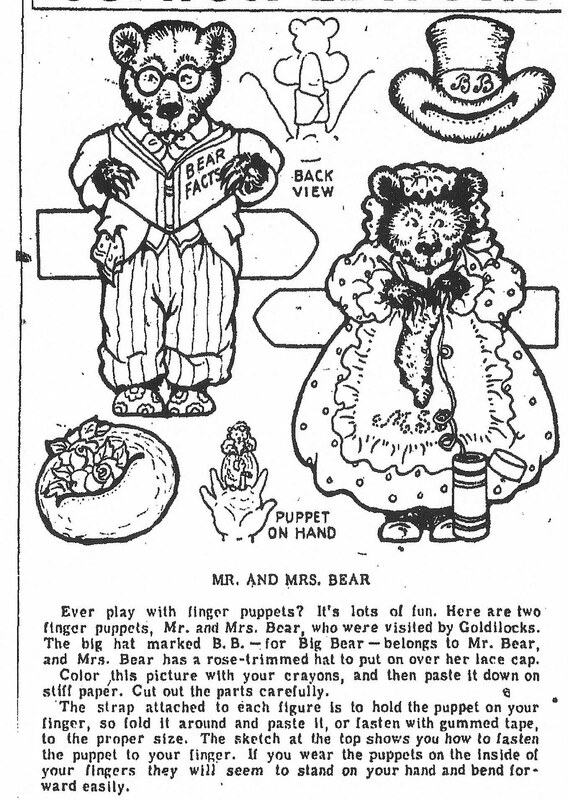 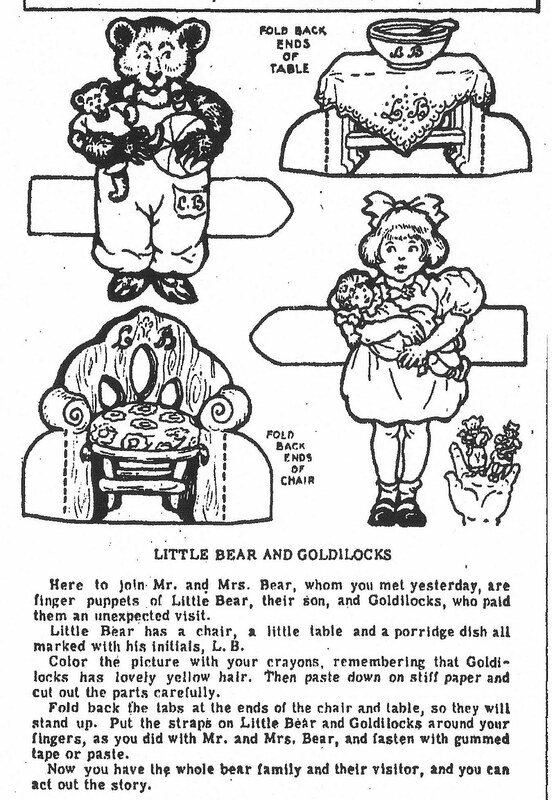 Little Bear and Goldilocks finger-puppets from May 30, 1956.